The American health care system is extraordinarily complex, therefore making it possible for medical malpractice and errors to occur throughout the entire patient process. However, nurses and other safety advocates claim that at least a quarter of these errors can be prevented with better coordination of the client care process. In a study recently conducted by the Gary and Mary West Health Institute, nurses claim that streamlining technology and creating automated, coordinated data records will improve patient safety and prevent medical errors that result from misinformation. In fact, almost half of the nurses surveyed for the study “estimated that 25 percent of medical errors and adverse events might be prevented if devices could share information seamlessly.” Being able to access a patient’s records digitally, as well as monitor and update a patient’s treatment and progress, can greatly reduce instances of medical malpractice. What Can You do to Ensure a Safe Hospital Stay? When it comes to scheduling surgeries, reports suggest that the best time to schedule is in the morning and in the middle of the week. This better guarantees that a hospital’s staff will be fully rested and not overly taxed. Patients are also encouraged to bring their list of current medications to doctors’ offices and hospitals. When checking in for surgery or care, a copy of one’s medication list should be added to a patient’s personal chart. 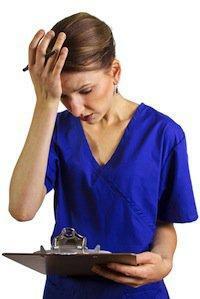 Documentation will help to minimize medication and dosing errors. Additionally, patients should immediately check their hospital wristbands for errors. Moreover, it is important for patients to request that all health care providers check their wristbands before moving forward with any procedure. Finally, patients should have an onsite hospital advocate accompany them to help assess situations, ask important questions, and intervene if there are problems. Medical malpractice takes place at an alarming rate, but many medical errors can be prevented. If you or a loved one has suffered injury due to physician or hospital negligence, you may be entitled to compensation. Please contact an experienced Westport medical malpractice attorney to discuss your case today. Richard H. Raphael, Attorney at Law, is proud to protect the rights of patients by holding the health care industry accountable for providing the safest and best standards of care possible. Call 203-226-6168 today to schedule your appointment.